MariaCasino is a UK licenced online casino that also operates in many other parts of the world. Due to this, so many players have already tried out this very good looking online casino. If you haven’t already, we strongly suggest you meet and greet with the read-headed Maria in her own casino. The Kindred company is the one behind this good-looking brand and you can be certain of finding many nice bonuses, games and much, much more. 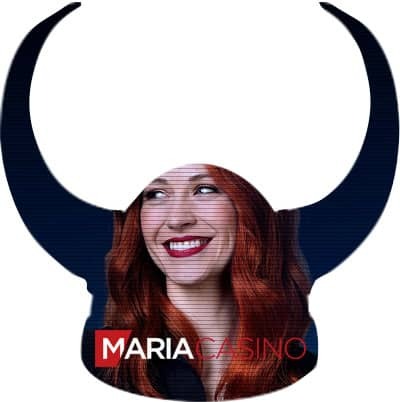 Our man on the spot, the Casino Viking, has made up his own mind about MariaCasino. Read below what he got to say about this place – after that, you can choose if it might be something for you or not. First off, he clicked the “Visit Now” button on top of this page. This took him straight to the landing page, where Maria was waiting for him. This is one of few casinos that offer free spins for new players. Along with that, the Viking signed up for a nice deposit bonus. Terms and conditions apply to all of the bonuses, so make sure to read them before making your move. One of the things that the Viking was most impressed about, was the possibility of customizing his own game page. Due to what games you are looking for, from which developers and so on, you can customize it into showing you the exact right games – all the times. By clicking on the games menu (left-hand side), he found all the games. From here, he easily clicked the “Customise your Game page”, and from here he could make it perfect. This was something that he really liked and he suggests everyone check it out. A big number of games are waiting, jackpots, bingo, video slots and much more. All of which, from famous game developers and the Casino Viking felt right at home. It is quite clear that MariaCasino is developed by people that know their online gaming. The website looks terrific and there really aren’t much to complain about. Do as our Viking, and meet Maria for yourself and see what you thing!